We offer affordable and easy to install Granicast shower products. Brilliant granite colors and fast direct shipping! We'll send you some samples, free! Choose a few free color samples and we will send them directly to your home, absolutely free. All the resources you need to install your shower are right here. From installation videos to our knowledgable customer service, we've got you covered! DIY Showers is family owned. Our goal is to help homeowners just like us install quality shower products without breaking the bank. Corner, tub-replacement, and custom shape shower pans with optional wall panels and accessories. Never worry about mold or mildew again! 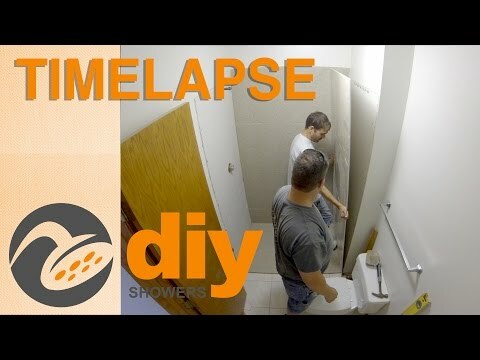 Post your question to the DIY Shower forum!